Even though I am posting this on my blog I want to make a local, personal appeal to those of you who are within driving distance of North Murray High School in Chatsworth, GA. If you can get there by 10:00 a.m. Easter Sunday morning – get there. Why? You may be thinking, yep, another big, over-hyped Easter church service. I will go and hear the same sermon about the same thing that I have heard at every Easter service I have ever attended. The resurrection is important and we will talk about it, but unless it answers your most serious questions, what’s the point? Have you ever cried out to God over and over again and it seems all you get is silence? Me too. On Easter Sunday morning – THIS is the sort of stuff we will begin to talk about. Why do children who are being abused cry out to God for help, but the monster just keeps coming in? Why do the people we need most in our lives get sick and die while it seems that evil people live long and continuously get their way? Why do we struggle sexually to figure out who we are? If the Bible teaches that we are not supposed to be homosexual, why is it that those desires can be so incredibly strong? You may be a young wife who seems healthy in every way, you so desperately want to be a mom, but can’t. Why not? There are people on this planet who don’t deserve children, you’ve asked God for help – why not you? 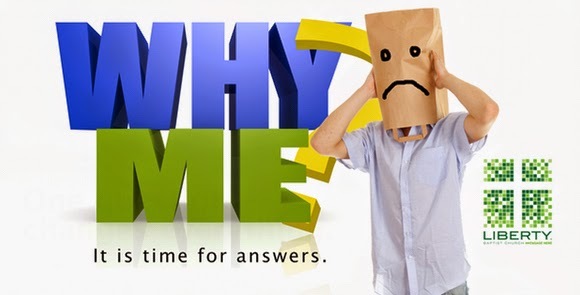 This Easter Sunday I want to begin a conversation with you about the question you want answered the most – WHY ME? There are a million versions of the question. Somewhere in your story it has been left unanswered. Why me? It is time for answers. Let’s talk! Please join me, Easter Sunday, in the North Murray High School auditorium for this critical conversation.